The Tartan Army Sunshine Appeal – it seems like I have known that name for ever! But in fact, I actually knew very little about it other than the name until relatively recently. I had seen the occasional report of a presentation from a Scotland away game which I had been at, but had seen no trace of any presentation party, and didn’t know anything about the location. I only found out anything about the beneficiary in the post-presentation report. There had been some posts on the Tartan Army Message Board, and I had even looked at the online TASA shop, but in fact I knew very little. I guess that changed in Ljubljana last October. My partner Liz McFarlane and I had dropped into a supermarket near to our hotel on the edge of Ljubljana to stock up on food and drinks. It was matchday afternoon, and we were in our colours, and we got to the checkout to pay for our purchases when some locals in the queue spotted our Scotland gear and immediately began to thank us for the donation made by the Sunshine Appeal earlier that day, which had apparently been widely reported on Slovenian TV soon after the presentation. The level of gratefulness these ordinary Slovenian people displayed was remarkable, and it pricked my interest. Of course, later that evening Scotland found another way to fail to qualify for the Play-Offs, and the usual bi-annual despair took over. The next away game was in Budapest, following which I saw a Sunshine Appeal note on Facebook. It asked for any unused Florints to be donated to the Sunshine Appeal, and Liz and I made contact with John Daly and duly sent off our few remaining Florints, as well as the Serbian Dinars I had been unable to exchange since the game in Novi Sad some five years ago. I also began to follow the Sunshine Appeal Facebook Page at this point. 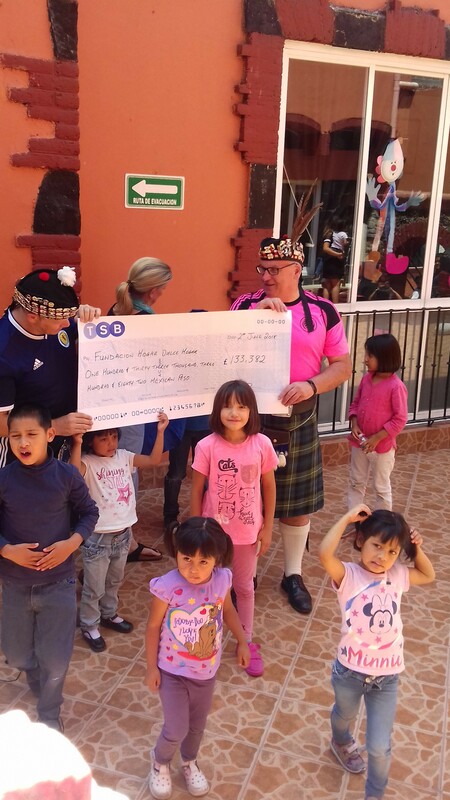 We saw a Facebook post which asked whether any Scotland supporters on the tour to Latin America would like to join either of the Sunshine Appeal presentation parties, and we decided to join the visit and presentation in Mexico City. With perhaps a little nervousness as we didn’t know who we would be meeting, we made our way to the rendezvous point on the morning of the Mexico match. No need to worry, we were made very welcome and joined the group in a convoy of Ubers through the crazy traffic of Mexico City. We were heading for an orphanage called “Hogar Dulce Hogar” (“Home Sweet Home”) which had been identified by the Mexico City St Andrews Society, and I am glad that someone knew where we were going as I hadn’t any clue, and my normally-reliable sense of direction had gone straight out the window as Mexican traffic swarmed all around us! We gathered at the orphanage and, on entry, Liz and I began to understand a lot more about the Sunshine Appeal, and why the guys and girls who run it do what they do. We met a wonderful American lady called Amy, who effectively managed the orphanage as a volunteer. She was totally inspirational as she gave us a tour around the facility, and talked us through the operation, challenges and joys of what she does. The orphanage currently is home to 48 children, from toddlers to twelve years old (the charity has another building which caters for older children). We heard harrowing tales of some of the children’s backgrounds; one boy had been born brain-damaged as his mother was a drug addict, and had lived in the orphanage almost all of his life. Happily, he had just found a family to adopt him, and would be moving out soon! Some other children had been rescued from the streets, where addict mothers send their children out to sell sweeties etc to raise money for their habit. Amy told us of some of the long, drawn-out legal cases she has to fight on behalf of some of the children, and of the precautions she and the staff have to take for the security of the building, the children and themselves. Her love for the orphanage and the children who live there was obvious. Past donations to the orphanage allow the children to have TV and internet access, and the building includes a well-stocked library, but the accommodation for the children is basic and cramped – there is one bedroom for the babies and infants, another for the girls and a third for the boys. The building also has a kitchen and dining area – the lunch which was being prepared while we were there smelled lovely! The children of school age attend a local primary school, which allows them to mix with other children of their own ages, outside the orphanage. Very touchingly, some of them ask to bring their class-mates “home” to do shared project work – which is allowed and encouraged! 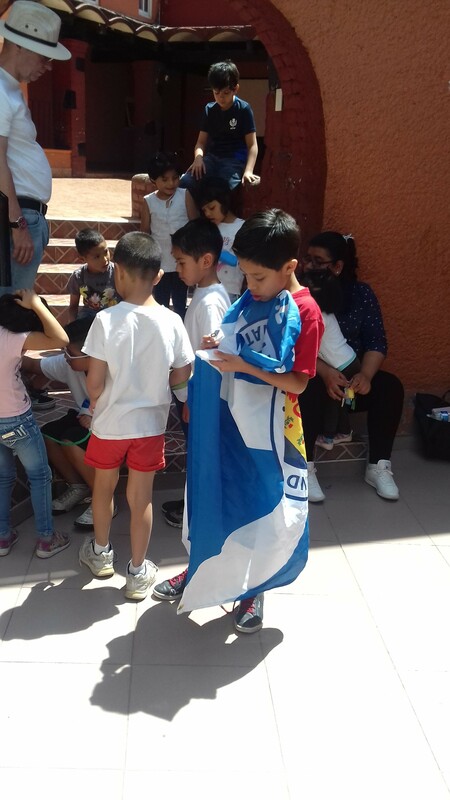 While Amy’s drive, energy, love and unbending spirit was memorable, our abiding memory of this visit will undoubtedly be the children who live in the orphanage. As soon as the Sunshine Appeal party entered the building, the joy on the children’s faces leapt out at us. 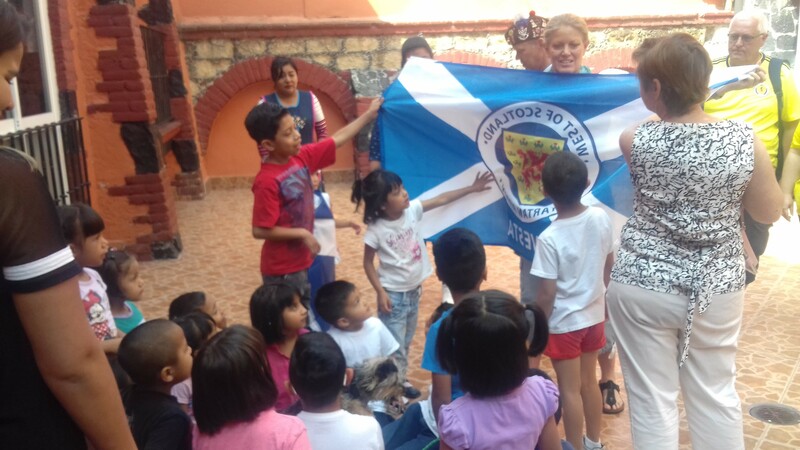 More than that, the children quickly crowded around us and grabbed sporrans, kilts, glengarries, saltires and pretty much anything else Scottish they could see! We learned that they had given up their usual Saturday out at swimming and play to stay and meet us, and their presence really brought home to us how fortunate we are to live the lives we do, travel the world etc while these young Mexican children have already endured such hardship in their short lives. Previous reports of Sunshine Appeal visits have used the word “humbling” and that is a perfect description of how we felt. The children – despite all that they may have suffered – exuded happiness, with such broad smiles and raucous laughter all round. We spent over an hour at the orphanage, and the children loved it! 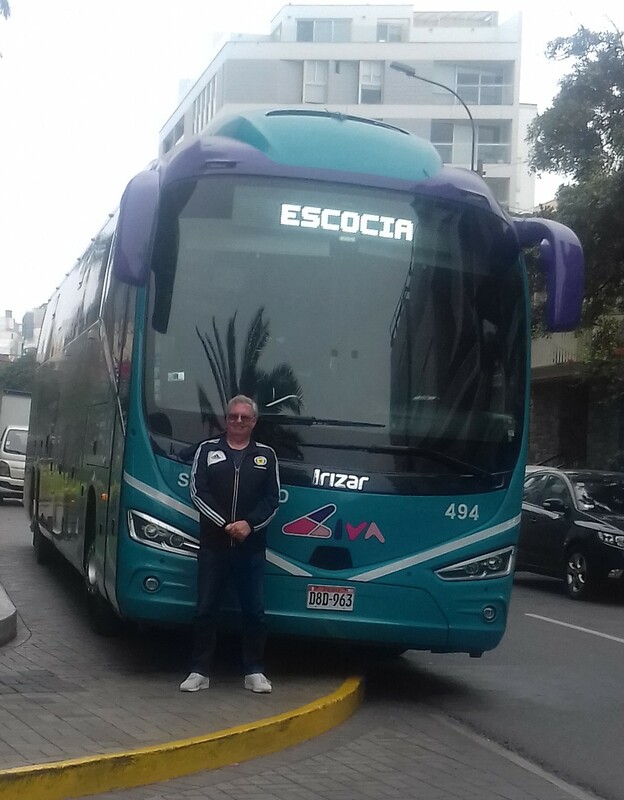 They spent time stroking various hairy sporrans, or collecting Tartan Army stickers, or wrapping themselves in saltires, or just even standing with us as we tried to communicate in our pidgin Spanish. One girl got hold of the rolled-up presentation cheque after the photos had been taken, and took untold pleasure in shouting “BOO” down it into my ears! Such simple pleasures, but so much enjoyment on the kids’ faces! 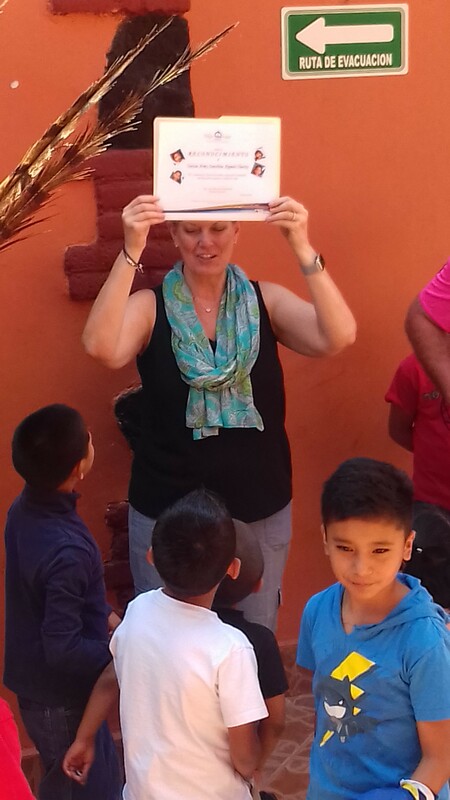 The Sunshine Appeal presentation was for the Peso equivalent of £5,000, and Amy will use it to replace all of the beds and mattresses in the orphanage. The children will definitely benefit from this – if they ever stop running around, dancing, singing and playing!!! 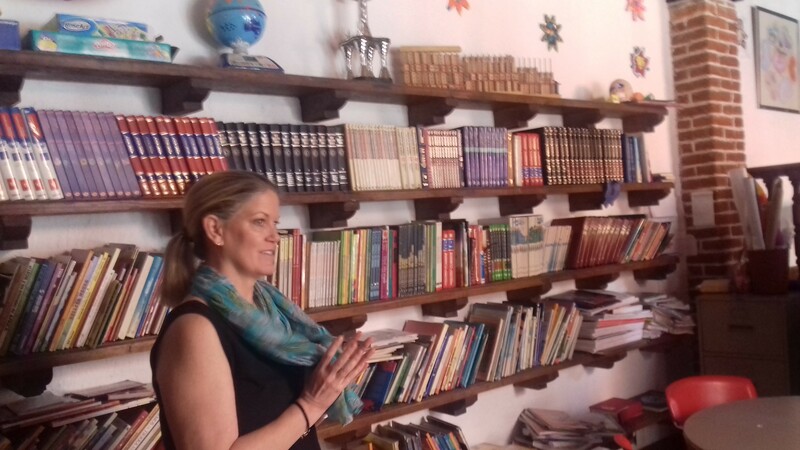 Both Liz and I are so happy that we were able to join the visit to Hogar Dulce Hogar, and have memories from it which will last for the rest of our lives. We have also seen at first hand the results of the fundraising efforts of the Sunshine Appeal, and the joy it can bring to such under-privileged children. Thank you so much to Tom Dearie for co-ordinating this presentation and allowing us to join, and to all of the TASA Steering Committee – and everyone who donates in any way – for making this all happen. If you ever get the chance to join a TASA presentation, grab it with both hands and you will have a memorable – and of course humbling! – day.